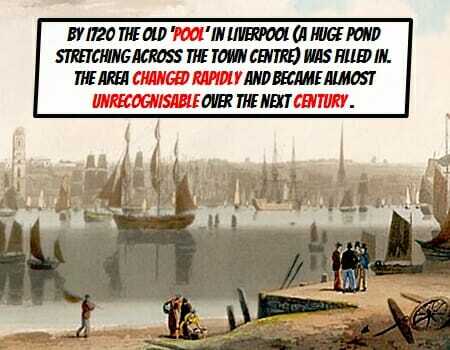 By 1720 the old ‘pool’ in Liverpool (A huge pond stretching across the town centre) is filled in. The area is changing rapidly and will become almost unrecognisable over the next 100 . 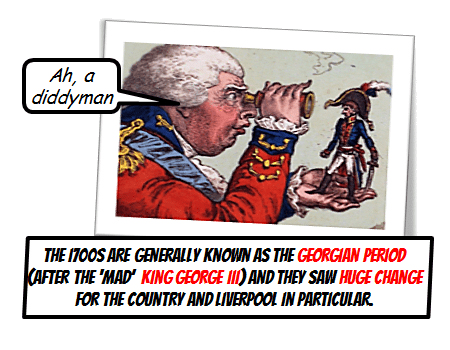 The 1700’s are generally known as the Georgian Period (after King George) and they see huge change for the country and Liverpool in particular. 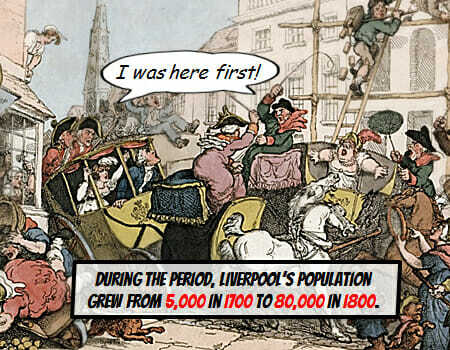 During the Georgian Liverpool period, Liverpool’s population grows from 5,000 in 1700 to 80,000 in 1800. 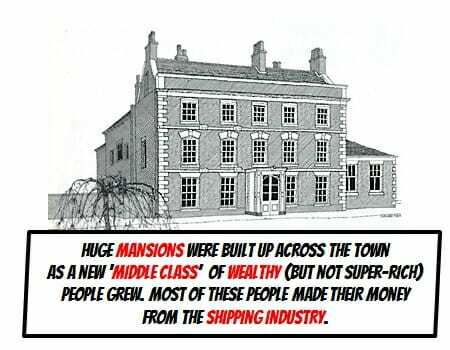 Huge brick mansions were built up across the town as a new ‘middle class’ of wealthy, but not super-rich, people grew. Most of these people made their money from the shipping industry. 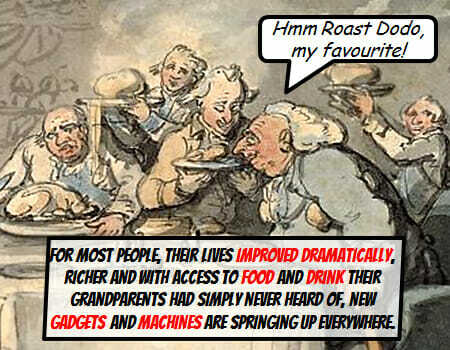 For most people, their lives improved dramatically, richer and with access to food and drink their grandparents had simply never heard of, new gadgets and machines are springing up everywhere. 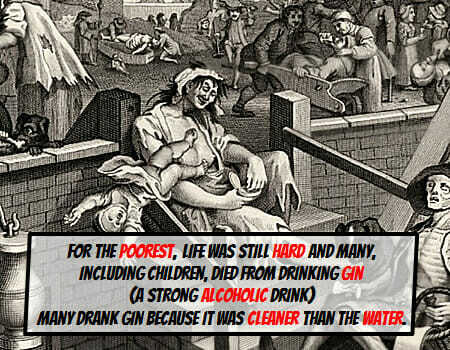 For the poorest, however, life was still hard and many died from drinking gin (a strong alcoholic drink) including children. Many drank gin because it was cleaner than the water. 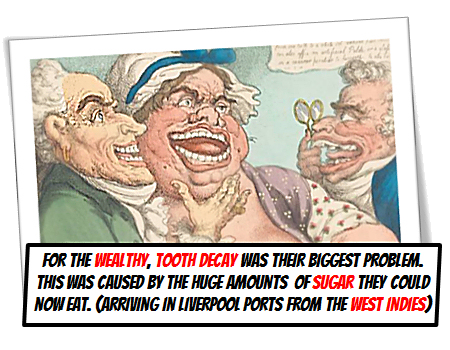 For the wealthy, tooth decay was their biggest problem. This was caused due to the huge amounts of sugar they could now eat. 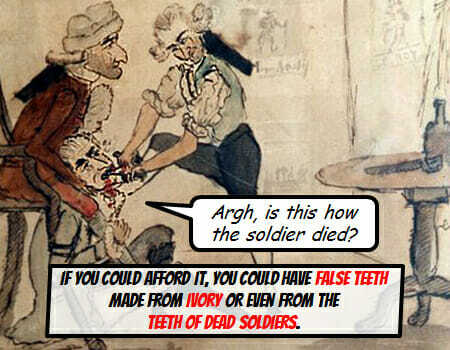 (arriving in Liverpool ports from the West Indies) If you could afford it, you could have false teeth made from ivory or even from dead soldiers. 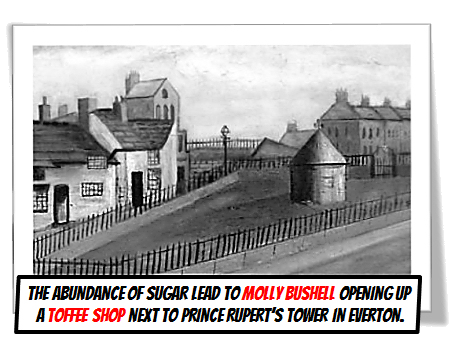 The abundance of sugar lead to Molly Bushell opening up a toffee shop next to Prince Rupert’s Tower in Everton. 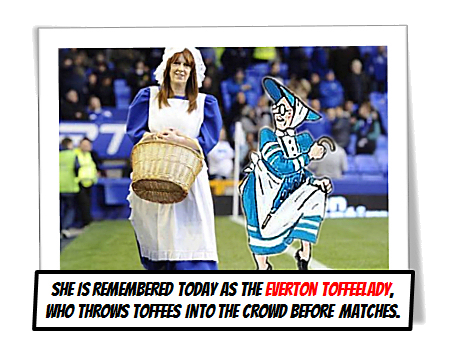 She is remembered today as the Everton Toffeelady, who throws toffee’s into the crowd before matches. 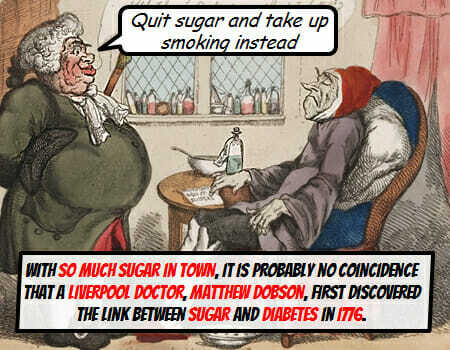 With so much sugar, it is probably no co-incidence that a Liverpool doctor, Matthew Dobson, who first discovered the link between sugar and diabetes in 1776. 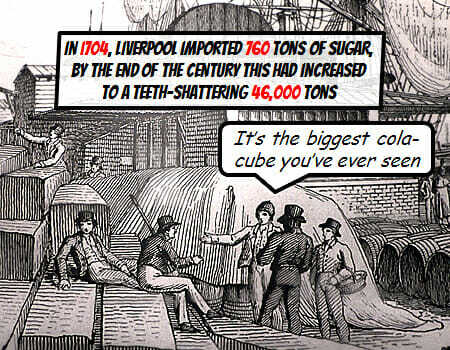 Liverpool did a lot to helps the less fortunate, and during the period and gave away free medicines to people, set up the Blue Coat school for the poor and even the world’s first school for the blind. 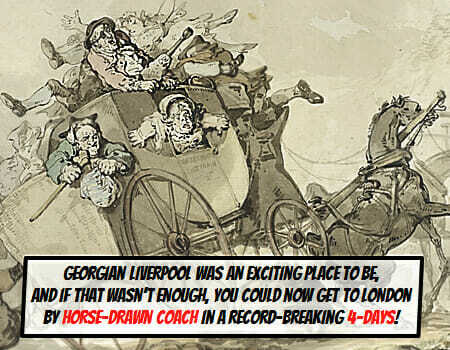 Georgian Liverpool was an exciting place to be, and if that wasn’t enough, you could now get to London by horse-drawn coach in a record-breaking 4-days.